Deal Physical damage to target enemy. If attacking out of turn, also inflict Target Lock for 2 turns. 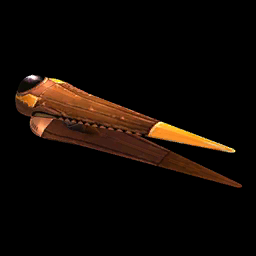 While Sun Fac's Geonosian Starfighter is active, all Geonosian allies gain +10% Critical Avoidance for each active Geonosian ally. In addition, whenever a buffed enemy starts their turn, Sun Fac's Geonosian Starfighter gains 30% Turn Meter, 60% Defense and Taunt until the end of that enemy's turn. Enter Battle: Stun target enemy for 1 turn, which can't be Evaded or Resisted, and remove 15% Turn Meter from all other enemies. Deal Physical damage to target enemy. If the target is buffed, Stun them for 1 turn, which can't be Resisted.